Geared for those wanting to enter the 3D Animation industry while learning from the comforts of home. This program is nine-months in duration, for a total of 720 hours. The 3D Animation & FX program begins by creating 3D Objects using Autodesk Maya. As students continue through the course they will learn more intermediate and advanced skills and techniques used in the animation industry. By completion of the 3D Animation & FX program, students will use their creative imagination to develop a short animated demo reel. Developed from concept through to completion, using industry standard methods of modelling, texturing, animating, rendering, visual effects and more. Why train online with us? Train from home; get Autodesk Maya for 36 months FREE, and our 3D Animation instructors are responsive, passionate and knowledgeable professionals. "...The 3D animation and FX course at Pacific Design Academy allowed me to take my art form to the next level. The course offered me a clear introduction to the complexities of 3D medium that I could expand on. I love this medium and am looking forward to working its endless creative possibilities." This course focuses on core tools and techniques of Maya’s interface and the basics of polygon modelling, using the extrude, scale, and polygon modelling tools. Participants learn how to create 3D Animated objects using a variety of techniques such as keyframe and path animation. Students are also introduced to tools that aid in the believability and look and feel of their animations. The character modelling course explores techniques and practices currently used in the 3D animation industry. Students learn to execute correct modelling topology. Tools covered in this course include the merge, extrude, move, scale, rotate, duplicate special, merge, merge vertex, and smooth tools. This course explores the tools required to achieve basic texturing in Maya such as unfold, uv map, planar, and cylindrical and spherical mapping. Students are also introduced to Adobe Photoshop and the tools required for creating texture maps. This course explores binding skins/mesh to skeletons and setting up joints, mirror joint, joint orientation, smooth bind, and skin weight as they pertain to basic rigging of 3D characters. The program objective is to set up rigging of character models in preparation for 3D animation. Tools covered in this course include the mirror joint tool, the Maya artisan tool, and the smooth bind tool. Students are introduced to Maya’s lighting tools such as area light, point light, ambient light, volume light, directional light as well as shadows, fog, reflections, and light bouncing. This course introduces students to the art of character animation, focusing on techniques for controlling skeletal movement, i.e. how the whole body moves. Tools used in this course include iK handles, locators, keyframe animation, the graph editor, and basic graphic controllers. By completion of this course student are able to apply basic movement to their 3D characters such as running, walking, and jumping. The Intro to FX course introduces students to Autodesk Maya’s effects tools. These tools are used to simulate complex events and environments such as explosions and various weather conditions. Most of the visual effects that we see in movies and on television are created in Autodesk Maya. The Intermediate Character Modelling course demonstrates how to create a two legged humanoid cartoon character while maintaining good topology. Tools covered in this course include cut faces, extrude, scale, insert edge loop, and split polygon. The intermediate character texturing course focuses on techniques such as layer separation, applying correct 3D textures and projections, custom connections, and utilities. 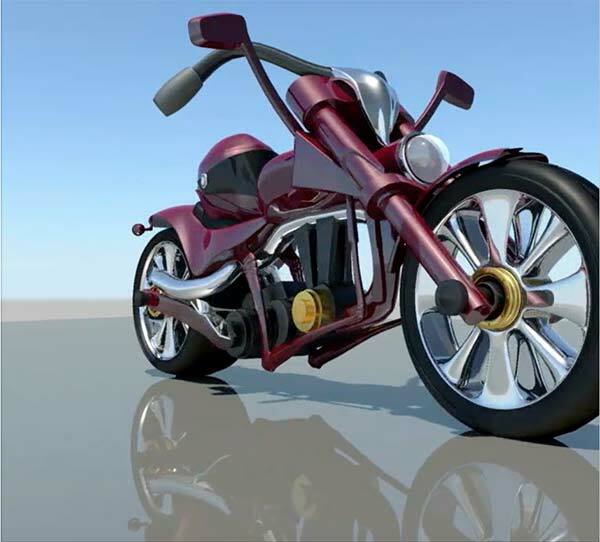 Through these tools and techniques, students understand how to use Maya and/or Photoshop to create textures like skin, chrome, glass, and wood. Students continue to work towards believable character movement through continued work with IK and FK, icon base shape controls, facial joint controls, and set driven keys. The character animation course demonstrates how to interpret acting and movement in 3D. By using elements such as the graph editor, dope sheet, inverse kinematics, and forward kinematics, students learn how to take poses and create believable actions. In intermediate lighting, students deepen their ability to create subtle lighting effects, creating ambient and high quality shadow bounce lights that bring dynamic cinematography to an animation scene. The Intermediate 3D FX course focuses on advancing students’ knowledge of the Maya effects tools of dynamic simulation, rigid body, fluids, particle, hair, and fur. These industry tools are used to create dynamic effects in commercials, movies, simulations, and tv. Advanced Maya Character Modelling takes students through each step of modeling a character from head to toe while employing correct topology. Starting with photographs of a human model, every step from the first polygon to the final tweak is illustrated and explained through our interactive and descriptive lessons. The Advanced Texturing course covers concepts of Autodesk Maya’s intricate shader networks and advanced UV tools. Students learn to paint, apply procedural maps, and create custom connections and colour utilities in 3D using Autodesk Maya in combination with Adobe Photoshop. This course covers skeleton creation and advanced character rigging processes. The course starts with an overview of animation methods and skeleton setups and moves into FK/IK blending, advanced controls, set driven key, morphs, and more. Students will complete a three minute engaging animation scene/movie/video of their choice that incorporates the breadth of their learning and creativity. 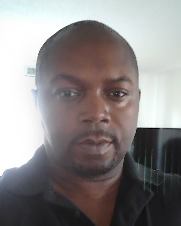 As a learning technologist, Anthony is responsible for course development, user training, and technical support of courses delivered through the Learning Management System (Moodle LMS). He works on various courses and projects to ensure innovative and effective use of technology that delivers high quality learning and teaching experiences for RRU students and faculty. Anthony has 15 years of experience in the New Media Arts Industry in various roles, such as eLearning Developer, software developer/designer, and instructor at both private and public colleges, interactive Web & Multimedia designer/instructor, 3D Animation developer/instructor and programmer.